Seventeen years after it was destroyed in the September 11 terrorist attacks, New York City's Cortlandt Street subway station has at long last reopened. 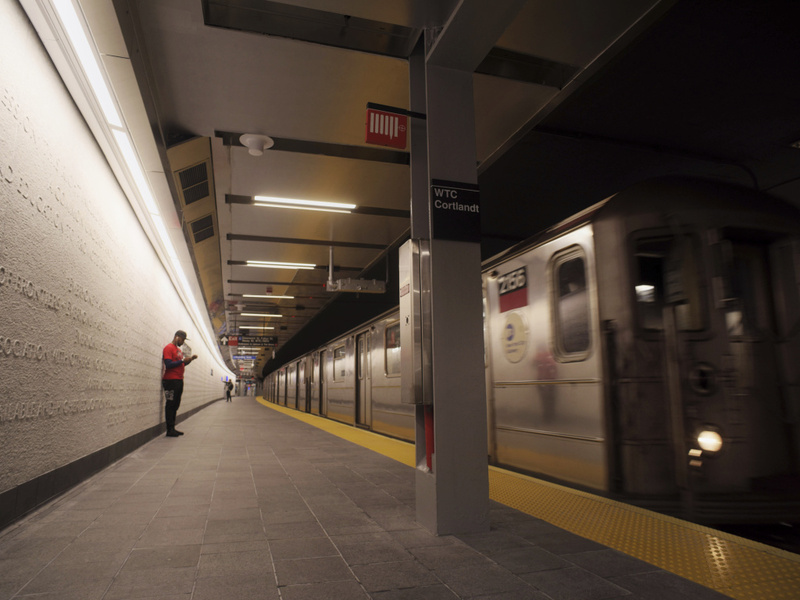 The Metropolitan Transportation Authority, which runs the city's subway system, unveiled the reconstructed station on Saturday, just three days before the anniversary of the attack. "The opening of WTC Cortlandt returns a subway station to a vibrant neighborhood and represents a major milestone in the recovery and growth of downtown Manhattan," MTA Chairman Joseph Lhota said in a statement. "WTC Cortlandt is more than a new subway station. It is symbolic of New Yorkers' resolve in restoring and substantially improving the entire World Trade Center site." The old Cortlandt Street station was buried by countless tons of debris that collapsed into it on the morning of the 9/11 attacks. The station connected residents along the No. 1 line on Manhattan's west side to the World Trade Center. It cost $181 million to rebuild the station, according to the Associated Press. The new stop includes an air-tempered ventilation system, elevator access from the street and a white marble mosaic by artist Ann Hamilton featuring text from the Declaration of Independence and the United Nations' Universal Declaration of Human Rights.